Bernardo as a Little (in red striped shirt) and as a Big with his Littles, Samuel and Jacqueline. 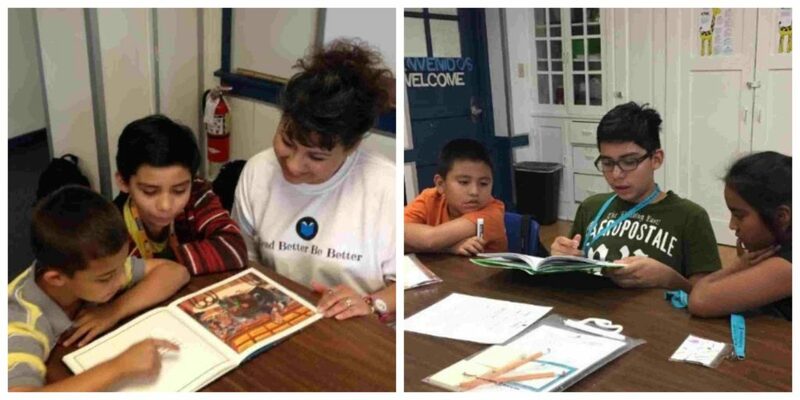 Four years ago, Whittier Elementary School students Bernardo, Christopher, and Raymundo were third graders participating as Reading Learners (or Littles) at Read Better Be Better’s first program site. 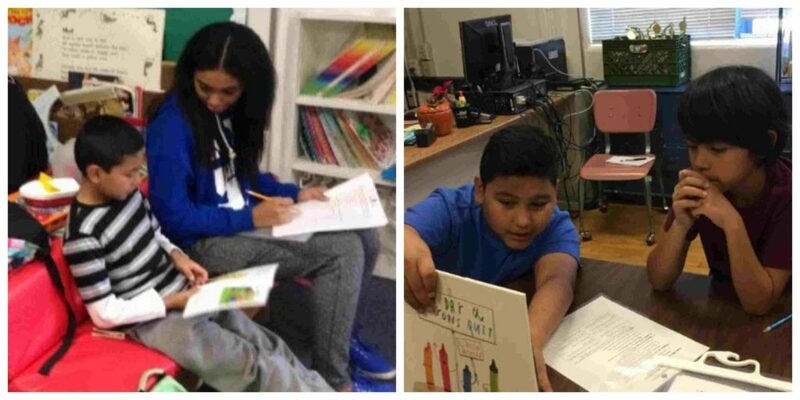 They were paired with 7th grade Reading Leaders (or Bigs) who, twice a week, helped to improve their reading. “Back then I was scared of the Bigs because they were teenagers,” Bernardo said. “And it’s way more fun to read with someone you have a bond with,” added Christopher. Raymundo during his Little semester and Raymundo working with his Little, Yostin. Bernardo, Christopher, and Raymundo all completed the Read Better Be Better (RBBB) program which helped them successfully navigate their 4th, 5th, and 6th-grade curriculums. As their 7th-grade school year began this Fall semester, they each decided that they wanted to become involved in RBBB once more, this time as leaders. They are the first three RBBB students to transition from Littles to Bigs. “I wanted to give back what I got from the program and pass along the same help that my Big showed me,” Christopher explained. “I thought that if I had the opportunity to get the help I needed, these kids should get the same help,” Bernardo said. Christopher (in blue and gray striped shirt) with his Big, Arlon, and now with his Little, Damien. If Bernardo, Christopher, and Raymundo are any indication, the impact of Bigs on Littles is influential, positive, and long-lasting. “My Big taught me to use more academic words in conversations,” said Christopher of his Big, Arlon. “I learned from my Big to make connections within the story so that I not only was reading the story but I understood it,” Bernardo said of Joanni, his Big. Each of the boys has several students who they mentor every Tuesday and Thursday afternoon. The three Bigs are patient, kind, and encouraging to their Littles. Along with assisting with reading, they try to impart to their young charges additional lessons that they’ve learned from their own RBBB experiences. “I want my Littles to learn to get along with new people,” said Raymundo. “And interact with people who are different from them because that’s what happens in life,” Bernardo explained. “I try to show my Littles how to speak to people,” Christopher said. As for what these former Littles gained from their Bigs outside of reading skills? “If I made a mistake, my Big taught me that mistakes are not the end of the world but are a part of learning,” Bernardo said. “They were confident in us,” said Christopher. “They gave us hope,” Raymundo added. As all three are now providing — in large and small ways — for their Littles. 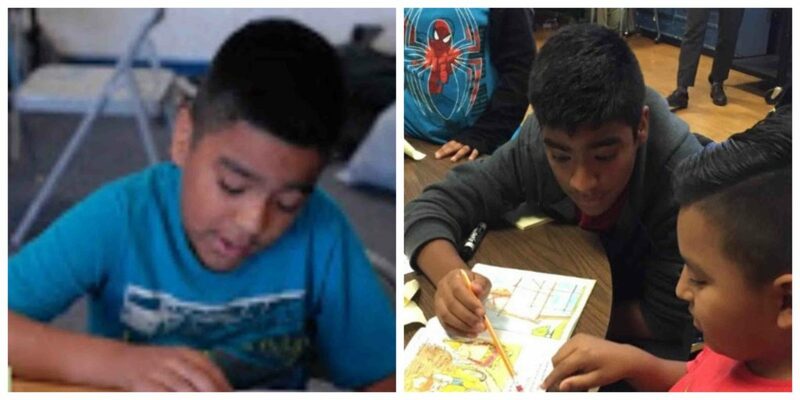 Please consider following the example of Bernardo, Christopher, and Raymundo by giving to Read Better Be Better on #GivingTuesday on November 27. Your gift covers school program costs including books, materials, and site-leader stipends. To contribute or learn more, click here.